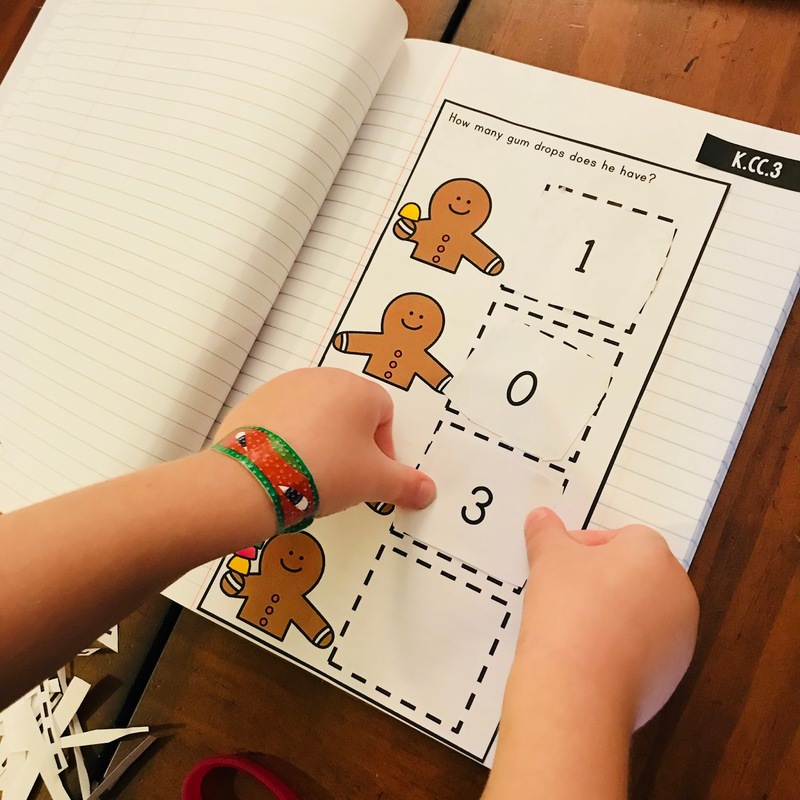 Are you looking for December Kindergarten Math activities? Do you want to review key grade K skills with your students? 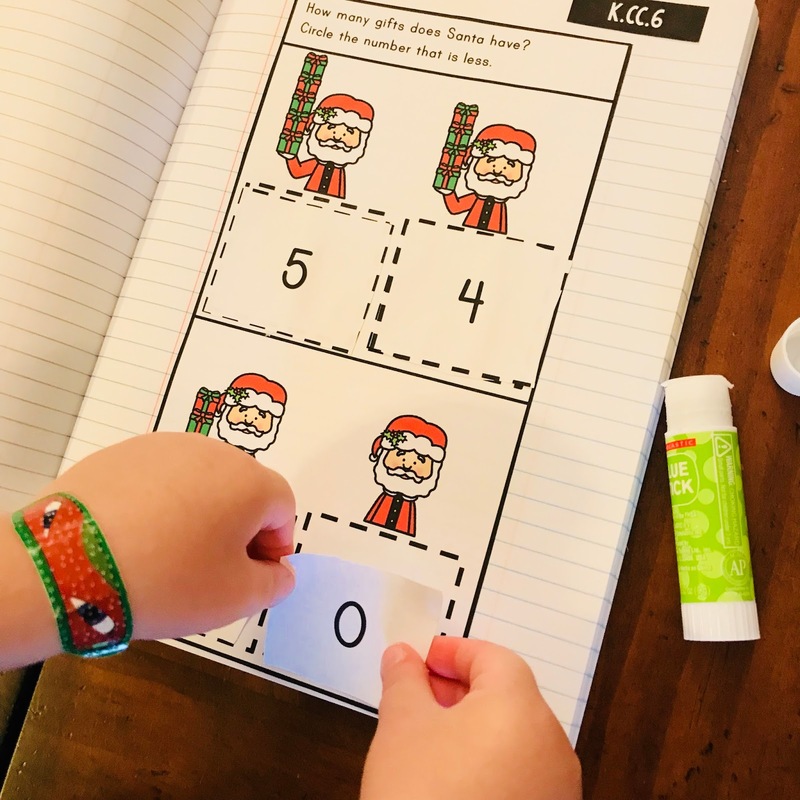 Do you need NO PREP math review? 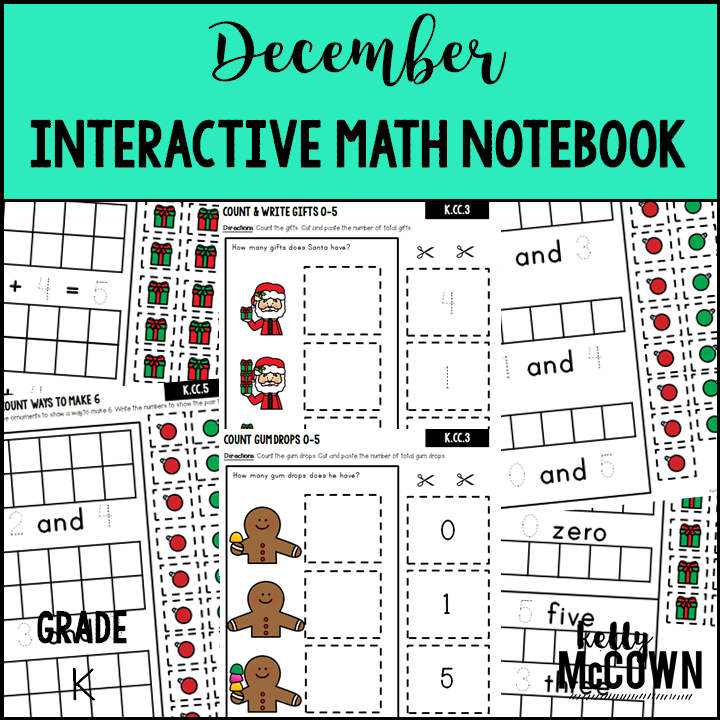 These interactive notebook activities are intended to help students understand how to decompose numbers less than or equal to 10 into pairs in more than one way, write numbers from 0 to 20, understand the relationships between numbers and quantities, count “how many?”, identify whether the number of objects is greater than, less than, or equal to, and compare two numbers between 1 and 10, and add with objects, solve addition word problems, and fluently add within 5. 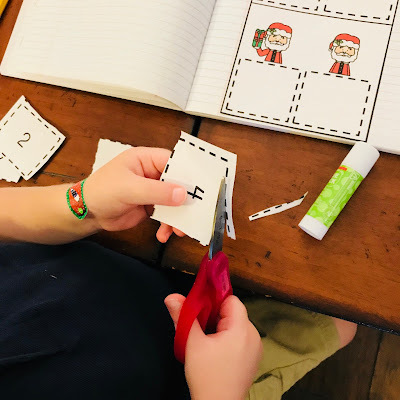 Cutting, pasting, and reviewing Math skills. NO PREP, just Print & GO! 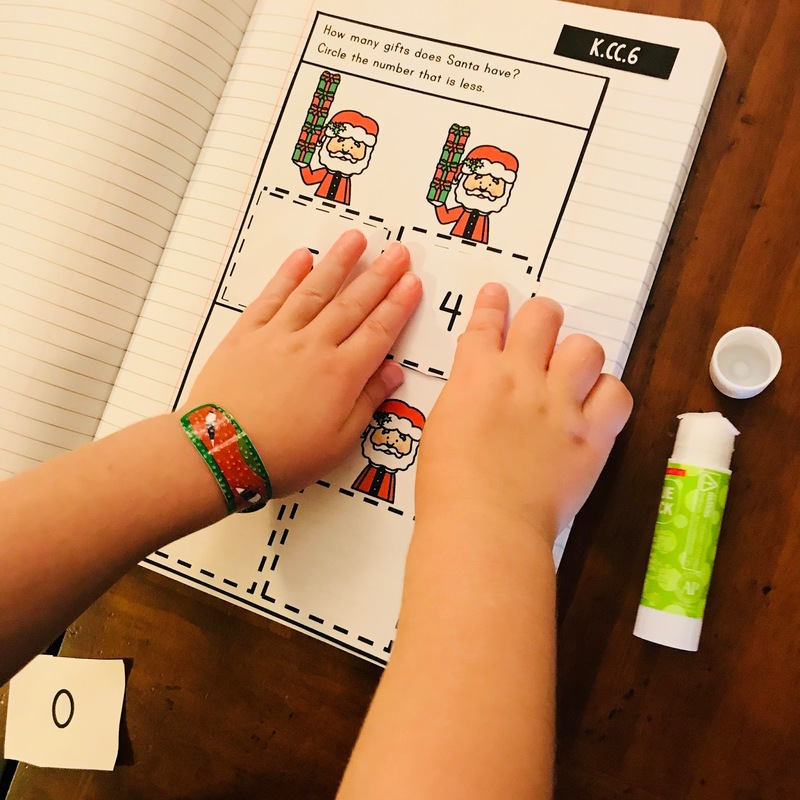 Counting the number of gifts, ornaments, and candy canes are included. 50 Pages of Color and 50 Pages in Black & White. High Quality Images are used on every page. Student centered and student created in their own Notebooks. All pages are aligned to Common Core State Standards. 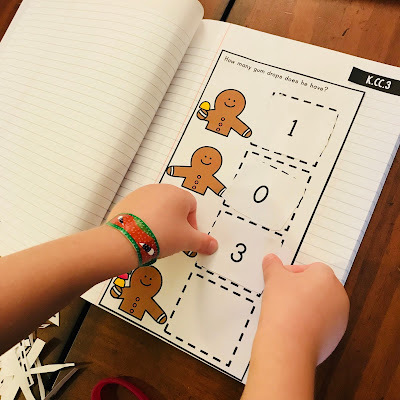 This Interactive Math Notebook Bundle was created for Kindergarten students to be an engaging and fun way to interact with Math. Students review ALL common core standards with this Notebook Bundle. Every month there is a fun theme for students to interact with. The notebooks are student created. Every student cuts, pastes, and writes in their own notebook. 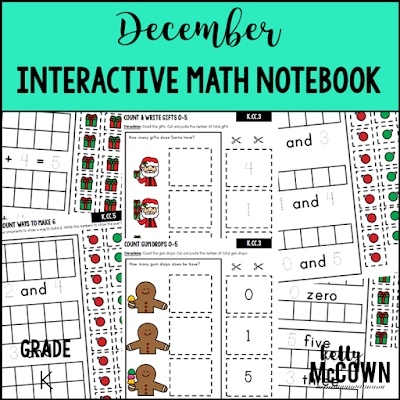 This is a great tool for reviewing and learning new math skills. Students enjoy the fun and colorful themes each month. 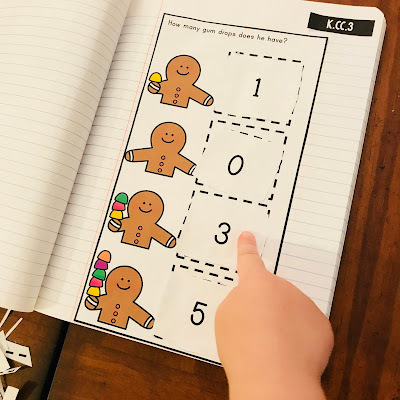 Creating a notebook where their work is on display helps them to take ownership of their math. Help your students by getting them involved in the process of doing the math and watch them grow. My son enjoys this set every month and always asks for more than the 50 pages provided in the packet. 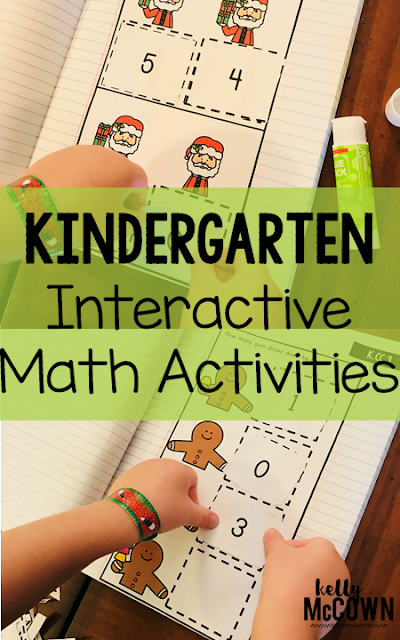 It is such a great way for students to understand and practice fluency of their math skills.